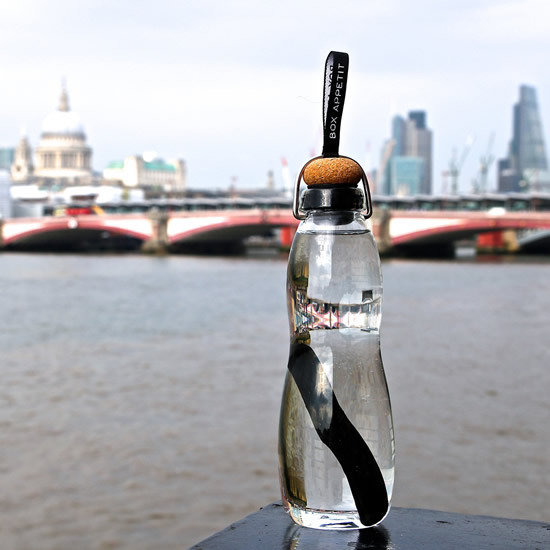 The Black+Blum Eau Good glass water bottle was inspired by marble Codd-neck designs. Hand-blown borosilicate glass, with a quality feel and curved design, these bottles are a pleasure to drink from. 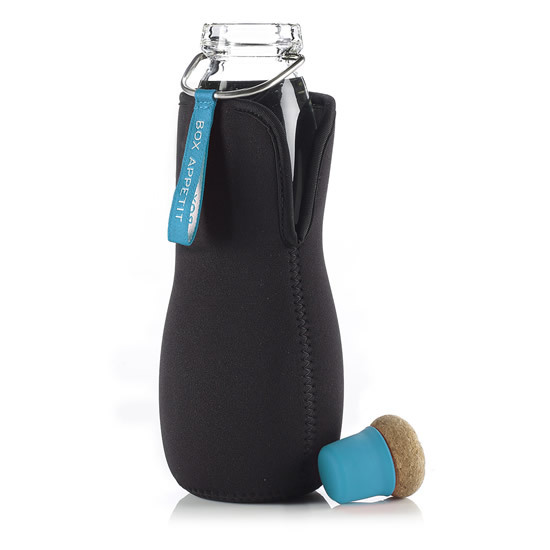 The glass water filter bottle also comes with a protective neoprene sleeve to help insulate and protect the bottle. And it’s made from natural materials: glass, cork, silicone. To filter, simply drop your charcoal into the bottle, fill with drinkable tap water and wait for the charcoal to filter chemicals from the water (at least one hour but overnight is best). The binchotan charcoal will last for three months with daily use. See ways to recharge and reuse it below. 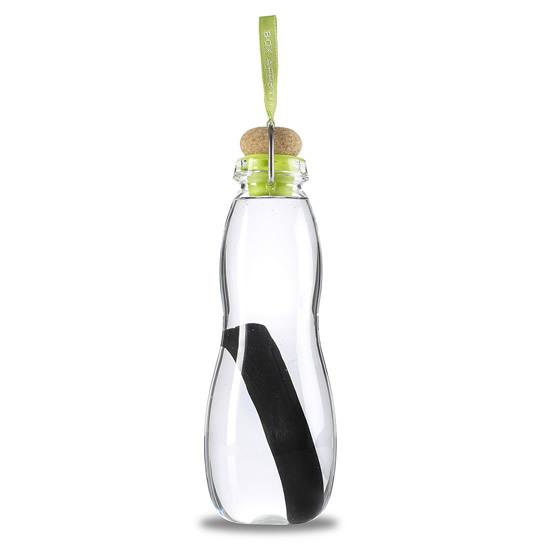 From Black + Blum comes an elegant hand-blown glass water drink bottle. Store your water in the fridge door overnight and the binchotan active charcoal filter produces clean tasting water. A note on Binchotan Charcoal: The filter reduces chlorine, mineralizes the water and balances the pH. The charcoal filter can be used for up to six months, and its purifying power can be “recharged” after the first three months by boiling. At the end of its life, the charcoal can then be recycled for a variety of other household uses – it can be put in potted plants for a nutrient boost, or used as a natural moisture absorbent and deodorizer in shoes, for example. CARE: Remove binchotan charcoal from the Eau Good Glass Bottle before washing it. Occasionally you may notice tiny particles or fragments of charcoal in the water. These are not harmful as active charcoal can be taken internally for health.